Today I spent most of my time writing the very first Blue Jacaranda Newsletter and setting up a mailing list. I plan to send it out once a month so as not to clog up inboxes. If you subscribe you will automatically go in the draw to win a beautiful Blue Jacaranda prize each month. 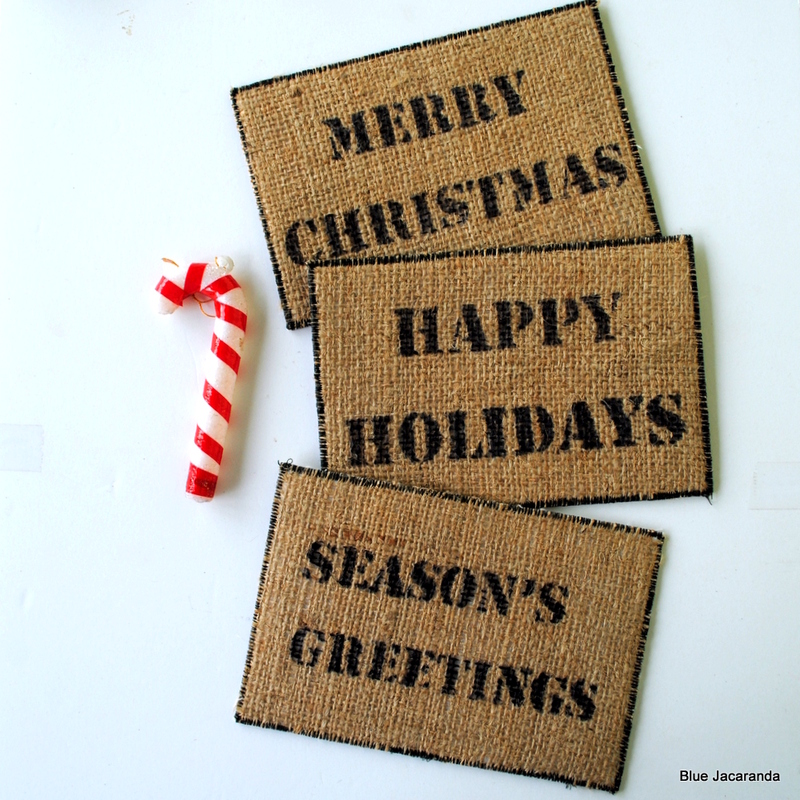 This month the prize is a set of three Burlap Christmas Cards (see photo) with a text of your choice (in a language of your choice)! In the newsletter I will tell you about what’s going on at Blue Jacaranda – including new items in the shop, where I hang out, and other things I think you might like to see.To read the first newsletter click here.You can subscribe on that page as well, or go to the Newsletter tab at the top of this page. This entry was posted in Etsy, Upcycling and tagged burlap, christmas, newsletter on October 14, 2012 by bluejacarandadesign.